Augmented Reality refers to an interactive experience of the real-world environment, which is enhanced by computer-generated perceptual information. As the world gets increasingly digital, enterprises have been forced to redefine their business processes and functions in order to retain their competitive edge. Augmented Reality is now integral to the digitization process. In this blog, we highlight how different industries are using augmented reality to improve their business functions and provide their end-users an enhanced customer experience. AR is being used in a classroom setting to make lessons contextual, engaging, immersive and interesting. Most children have access to smartphones these days. Using AR apps on their phones, they can access audio/video material, 3D models and other information related to the subject. For this to work, their textbooks have to be AR-enabled. Basically, digital publishers add these AR features to the text and when students point their AR app, these features become visible. Another use of AR in classroom settings is the classroom wall. For example, to teach vocabulary, an instructor can add AR capabilities to the words and put the list on the classroom wall. When the students point their AR app, they are able to read the meaning and see its use in sentences. Many times it happens that a company sends a batch of technicians to solve an onsite problem only to realize that the team is unable to deal with the complexity of the problem. Rather than sending a senior team of personnel on-site, the company can use augmented glasses in a central location and literally ‘see’ what the technicians are doing on the field and guide them through the repair process. Thus, AR helps to distribute skills across locations while also helping the company save both time and money. AR also adds a whole new dimension to corporate training. It gives end-users the opportunity to experiment with and create 3D models and demos and learn about the individual components. Take the case of a clickable 3D model of some manufacturing equipment. Learners, on their mobile apps, can familiarize themselves with each and every component, learn about its features and their use in a simulated environment. Besides, AR can also help learners retain their learnings. AR-enabled workplaces have machine learning built into the systems to retain the learnings and allow employees to benefit from these insights. AR finds great application in defence training, given its ability to replicate and enhance reality. In a simulated environment, defence personnel can train with dangerous weapons, without fear of any untoward incident. Also, since AR imitates every aspect of a real-time situation, learners can actually experience the stress and pressure of the actual situation. In a simulated environment, in both these kinds of situations, trainees can practice their skills without fearing the consequences of a wrong step. In fact, they can actually take the wrong steps to understand the enormity of consequences in real-life situations. In case of sales training, AR is being used to bring alive the marketplace with employees receiving an imaginary business situation to make decisions, which can include making decisions on advertising, price, sales tips, meeting targets etc. These AR-enabled situations mirror real business challenges, have an element of competitive challenge, use images and data to enhance learner experience, and incorporate data and reporting for feedback. AR creates an enhanced environment of the existing reality by superimposing it with a digital context. In this environment, learners can practice their skills without harm and can actually make mistakes to learn from them. For young learners and corporate trainees, it creates an immersive and interactive experience extending their learning to a multisensory experience. Augmented reality solutions are already mainstream in a number of industries including but not limited to defence, healthcare, retail, energy and utilities, hospitality and healthcare. 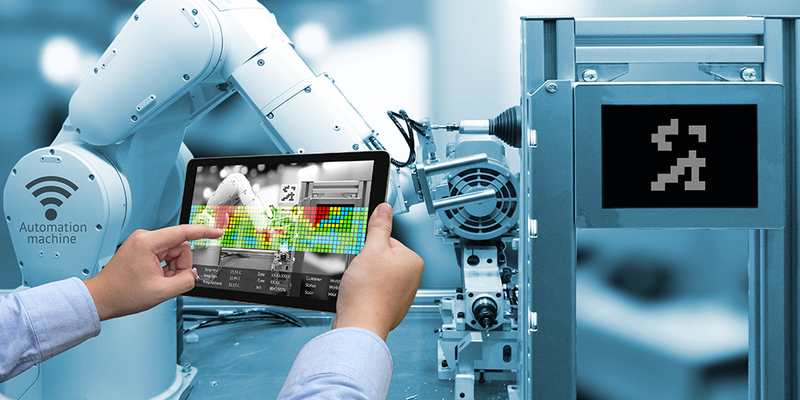 Moving forward, more and more industries are expected to open their doors to augmented reality and the opportunities that this exciting technology provides.